Play Super Loom: Triple Single and more New Games Games on Games1.com! After Super Looms: Fishtail all fans of the colorful bands can this time braid a bracelet with the triple single pattern. Combine numerous colors and create different bracelets, which you can decorate with cute charms in the end. All those who like to make different items with the loom bands at home, can try out different styles and combinations without wasting the precious bands. 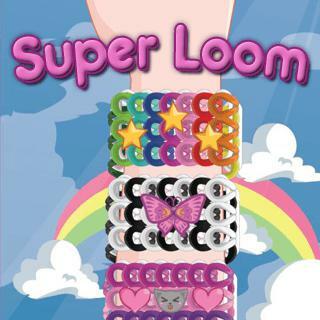 This way, Super Loom: Triple Single is a great alternative for young girls, who like dress up and make up games, to get creative!